Holiday Inn Amsterdam – Arena Towers. Hoogoord . Susanna Mittermaier is a psychologist and author of the #1 international bestselling books, Pragmatic Psychology: Practical Tools for Being Crazy Happy. As a global speaker, Susanna offers a new paradigm on psychology and therapy called Pragmatic Psychology. Susanna is known for her revolutionary perspective on facilitating change. Her pragmatic approach invites people to choose what works and that which create the greatest outcome in business, leadership and their lives. Susanna Mittermaier inspires people all over the world to unveil their brilliance and guides others to see problems and difficulties instead of possibilities and potent choices. Susanna Mittermaier, a pragmatic psychologist, from Vienna, Austria, educated in Sweden at the university clinic of Lund, where she was mentoring the hospital staff, conducted neuropsychological testing and psychotherapy with patients and developed a new approach to psychology. She is the author of the Best Seller, Pragmatic Psychology and a worldwide speaker. Psychology used to be the study of knowledge, the study of how people function and the value of it and the curiosity and exploration of possibilities. Nowadays psychology is the study of behavior and about the categorization of what is sane and what is insane. What if psychology could be a place of possibility and the beginning of sanity rather than an exile for those who do not fit? By being realistic, realistic means the ability to see things as they are and dealing with them in a pragmatic way. Seeing what it requires asking questions. What are the things we call problems and disabilities? Are they disabilities or maybe even abilities? What abilities are hiding behind disabilities? Asking questions is pragmatic. “Pragmatic” means doing what works. What works is asking for the possibilities in the seemingly impossible. Questions empower the client to look for new ways out of their situation; an answer only confirms the rightness of the limitation. Pragmatic Psychology empowers the client to create their own pragmatic way beyond the problem. Results: ADHD patients being able to use their hyperactivity as a resource to create their lives. Depression and anxiety being discovered as extreme awareness that no longer, being overwhelming and having to be defended against, can be used as a source of creation. Patients coming for anger management discovering their potency that was covered by their label. PTSD ceasing to haunt clients and the potency slumbering all those years behind the victimizing story being accessed. Autism being acknowledged as a highly interactive and communicative group of people. Problems and diagnoses being possibilities and abilities rather than limitations. What if having to have problems was no longer the paradigm to live by in our society? What if our past no longer determines our future but can be created and chosen as desired in every moment? Time to create a different point of view on all standard diagnoses and to focus on abilities and diversity? Time to have psychology is the gift it can? Salema returned to the University of Cambridge as a mature student after 15 years of teaching Yoga, Yoga Therapy, Philosophy and Meditation around the world. She has graduated twice with an Undergraduate Diploma in Coaching (Psychology) and an undergraduate Certificate in Experimental Cognitive Psychology. Also completing additional studies in Molecular and Behavioural Mechanisms of Stress and the Science of Mindfulness. In addition, she has also undertaken studies with the University of Birmingham (a Foundation in Neurobiology), University College London ( in Dementia), and a 6-month study period at the University of London/Birkbeck in Biopsychology, Evolutionary and Social Psychology, Research methods, AI + Robotics. She is a member of the Coaching Alumni at Cambridge. She has coached on the Queens Leaders Programme and regular guest lectures on the Undergraduate Programme for Coaching at the Institute of Continuing Education, Cambridge. She is a student affiliate member of the American Psychological Association and a member of the Association for Contextual Behavioural Science. Her work has been featured in various blogs and publications including Psychologies Magazine and Women’s Health and Fitness and has been featured on BBC Radio as well guest hosting a monthly health and fitness show on a local London radio station. The relationship between automation and human work, as well as the impact of Technology on Mental Health and Well-Being, is a longstanding area of concern and for reflection, and raises questions around public policy raising complex questions that have technical, social and ethical implications. This presentation will touch some of these thought-provoking areas, in particular how technology is impacting lifestyle choices and health and how this will impact the future deliveries of mental health services and research. Salema has a rich and diverse background of working with Human behaviour from a Holistic as well as Scientific and Academic background. Coaching and mentoring others around transition and change socially and economically within Corporate and Academic sectors. She uses innovative thinking and research from the fields of Data, Machine Learning, AI, Neuroscience, Human Psychology to provide deeper insights into understanding disconnection and how by using alternative approaches instead to find a healthy balance between Humanity and Technology. Creating strategies that move with the times in Human Connection & Performance. Alongside addressing the impact of growing technology on Mental Health and Well-Being from a societal and economic perspective. By using futuristic trends as different markers to address and build mental + physical awareness, resilience and looking at early markers in behaviour that can be used to raise awareness to potential mental health issues that may arise as a result. She continues to present her vision in what she believes is essential for cultivating more awareness and responsibly around Digital regulation, distraction and resilience promoting Psychological flexibility and adaptability both personally and professionally to achieve a beneficial work-life balance. Grounded in academic and real-world learning her presentations provide the foundation for the next generation of ideas, development, and implementation to achieve and healthy balance between Humanity and Technology. Zeno Geradts is a senior forensic scientist at the Netherlands Forensic Institute of the Ministry of Security and Justice at the Forensic Digital Biometrics Traces department. He is an expert witness in the area of forensic (video) image processing and biometrics (facial comparison and biometrics such as hands, feet, and clothes). Within the team Forensic Big Data Analysis, he works in research on deep learning and images and video is also working within the European Project ASGARD on Forensic big data analysis. He is nominated as President-Elect at the American Academy of Forensic Science in 2018. He is also chairman of the ENFSI Forensic IT working group. From September 1st, 2014, he is the professor on Forensic Data Science by special appointment at the University of Amsterdam for 1 day a week. Prof. Dr. Zeno Geradts works since 1991 at the Netherlands Forensic Institute as a forensic scientist. Since 1997 he works at the digital evidence department. In 2002 he received a Ph.D. from the University of Utrecht based on research on computational comparing of forensic images. At the AAFS (American Academy of Forensic Sciences) he has been chairman of the Engineering Section and since 2008-2010 chairman of the section Digital Evidence and Multimedia, he was elected by the section as a member of the Board of Directors of the AAFS from 2010-2013. He is elected as Vice President of the AAFS 2015-2016 and 2015-2016 as Treasurer. He is chairman of the ENFSI Forensic IT working group. He published many papers in forensic journals and contributions to books and is active on casework as expert witness and projects in digital evidence. The development of deep learning algorithms has made very good progress in the last years. We see from the last vendor's tests of facial comparison that systems also for non-frontal images are much better and can be used for large databases. Also in other fields of concept detection in images and video, there has been good progress. The methods of deep learning are also applied to author recognition, speaker comparison and many more. The combination of expert and machine is expected to reduce the working load and solve more cases. Of course, one has to validate the results and quality assurance is most important. A short overview is given of pitfalls and solutions within this field. Dr. Adrienne Davis is a licensed clinical psychologist who specializes in forensic psychology. She holds a BA in psychology from the University of California, Los Angeles and a Ph.D. in Clinical Psychology from the University of Southern California. As an adjunct professor at USC, she taught courses in forensic psychology, mental health law, criminal behavior, and abnormal psychology. Dr. Davis is board certified in forensic psychology by the American Board of Professional Psychology. She has been in practice for 35 years working in forensic hospitals and in private practice evaluating both adult and juvenile offenders to assess their competency, criminal responsibility, and to address rehabilitation, treatment and sentencing matters as well as providing information about the psychological risk factors that underlie delinquent and criminal conduct. Dr. Davis testifies as an expert witness in criminal, civil, state and federal courts. She is licensed in California and Georgia. As an increasing number of juveniles are being tried as adults, it has become necessary to extend to them the same due process protections that are afforded adult offenders. In addition, since the types of offenses in which juveniles are involved have become more serious, there is more at stake when judicial decisions are made, particularly with respect to sentencing. These issues become especially important in determining a juvenile’s competency to stand trial. Historically, efforts have been made to adapt the same competency criteria and/or guidelines, and assessment tools used in evaluating adult offenders to juvenile cases. However, research indicates that unlike adults, there are factors related to a juvenile’s age, developmental stage and maturity that present challenges in determining their competency. This presentation will discuss the evolution of juvenile competency to stand trial, the differences between evaluating adults and juveniles, how these differences are addressed, and the continuing issues that make doing these evaluations a unique challenge for practitioners involved in the juvenile forensic arena. Jeremy has conducted expert assessments, written reports, and testified in many immigration, family, criminal, probate, and employment law matters. A graduate of Kent State University, Jeremy Cassius is a Licensed Professional Counselor with a wealth of experience diagnosing and treating Posttraumatic Stress Disorder (PTSD), Anxiety, and Depression. From 2009-2013, he served as the Executive Director of PLAN of North Texas Inc, an agency offering lifetime supportive services to clients with severe mental illnesses like Bipolar Disorder and Schizophrenia. He is licensed to practice in Texas and New York. Following his position at PLAN, Jeremy began conducting Forensic Mental Assessments for clients of Immigration attorneys, Probate attorneys, Family attorneys, and Personal Injury Attorneys. Jeremy is currently working on his Ph.D. in Forensic Psychology from Walden University. He is conducting his dissertation thesis on the lucid interval and dementia in testamentary capacity proceedings for probate court. Eleonora Papaleontiou - Louca is an associate professor in Psychology at the European University Cyprus and a Vice-Chairperson at the Department of Social and Behavioral Sciences. She has also served twice as a coordinator of the Psychology program at the European University Cyprus. She has received a B.Ed. degree (Cyprus & Greece), an M.A. in Education (University of Reading, U.K.) and a Ph.D. in Developmental / Cognitive and Educational Psychology (Cardiff University, U.K.). She has published many articles in Greek and international journals and has also published the books: “Children’s and Adolescents’ Mental Health” (in press), “Current Trends in Preschool Curriculum” Tipothito pl/ions, “Metacognition and Theory of Mind”, Cambridge Scholars Publications and “Metacognition: Theory and Practice” Thymari Publications, Greece. Dr. E. Louca has also given hundreds of lectures to parents and specialized groups related to psychological topics and children’s upbringing issues. Her research interests include Mental Health, Metacognition, Theory of Mind, Creative and Critical Thinking, Language Development, Spiritual Development, Emotional Development, Emotional Intelligence and the relationship between Religion and Psychology. The relationship between Psychology and Religion is not a matter of recent, only, interest, but also part of our tradition. Theology and modern psychology try together to tackle the same subject, the human psychosomatic world. How much do these two disciplines differ or they look like each other? 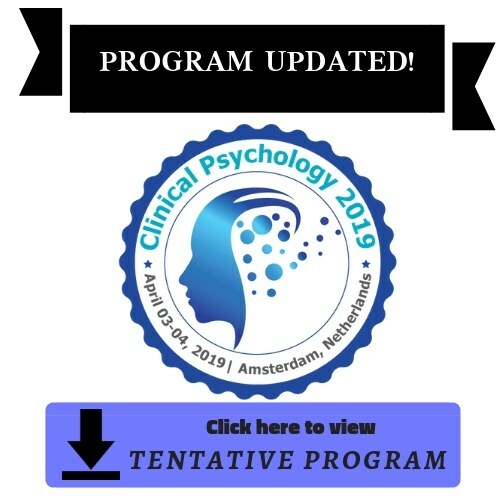 In this presentation, we would like to examine the similarities and differences between Psychology and Religion/Theology in terms of their purpose and aims, in the means and methods they use, in coping with difficulties and pain, in assisting those in need and in their relationship with Mental Health. Besides, we examine the relationship between Religion and Mental Health. Is this relationship always positive? If, no, under which circumstances is it positive and under which is it negative?